"If you have the will, I will show you the way"
I started by losing weight and I ended up feeling great. The variety of exercises Magda offered, made a real difference and most importantly fun which I loved! If you want to feel, eat and look fantastic it can be achieved - with the right mindset and encouragement, Magda helps you achieve your best! Hello, world! 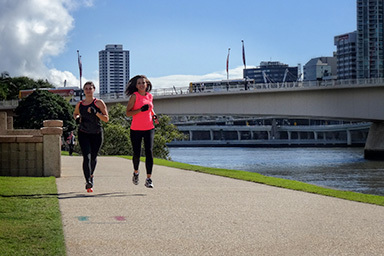 My name is Magda Xantopol, and I created this website to meet every individual's need to get & stay healthy, in order to contribute to a fitter & healthier Australia. It is known that correct movement eliminates the discomfort caused by an imbalanced body that most of us have due to long hours of desk work sitting down or performing our diverse daily activities. Therefore, a balanced body is my main goal while training you, in addition to the primary goal(s) that brought you here. You are invited to join my group classes (see timetable section for details) or benefit from one on one personal training sessions with me. Call now and book your free session to get started! My focus is on your success. I am happy to share my knowledge about health, fitness & wellness with you, through articles posted regularly on the blog. Subscribe to my newsletter and keep healthy! IT'S A WIN - WIN ATTITUDE! At MIX FIT CLUB we are offering highly professional personal training and group training sessions promoting a healthy and active lifestyle - from one on one PT sessions, small groups, friends and family sessions, large group training classes, boot camps, to the innovative Kangoo Power group classes, originally from Switzerland (www.kangoojumps.com) - an entertaining and low impact cardio exercise, a very efficient way of weight loss and increased wellbeing. Our clients benefit from our continuous support through their journey of achieving their desired goals from weight loss to cardiovascular fitness using nutrition guidelines as a tool that helps every body keep healthy and in great shape. 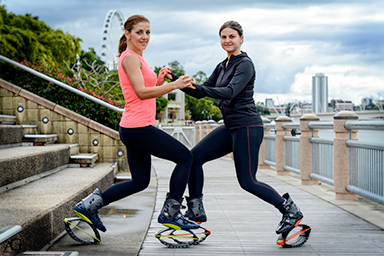 Call now and secure a spot, whether it is for personal training one on one, whether it is for Kangoo Jumps, this is gonna be massive! You definitely don’t wanna miss out!